1. Carry water with you everywhere you go in a bottle or other container. 2. Exercise: Exercising can help make you want to drink more liquids. Always choose water over energy drinks. 3. Add a bit of lemon or lime for a touch of flavor, if you get bored with plain water. It takes away the monotony of plain water and is a rich source of potassium and vitamin C.
4. Keep a glass or cup of water next to you when you are at your desk. 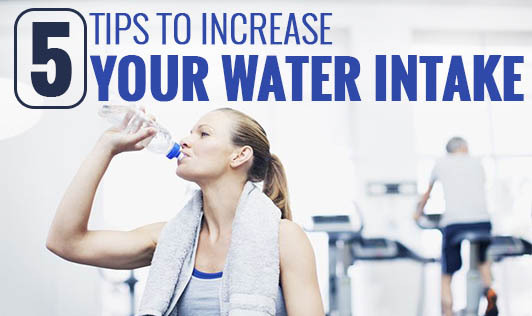 Make it a point to sip on some water regularly, as you are working. 5. Whenever you want to buy that fizzy drink, stop! Switch to water instead.